Vitamix Corporation selected Richard L. Bowen + Associates to perform design and construction services for their multi-phased headquarters expansion. Phases 1 and 2 consisted of the design and construction of a 35,500 SF addition to consolidate all of the shipping and receiving activity into one area with a total of 14 truck bays. 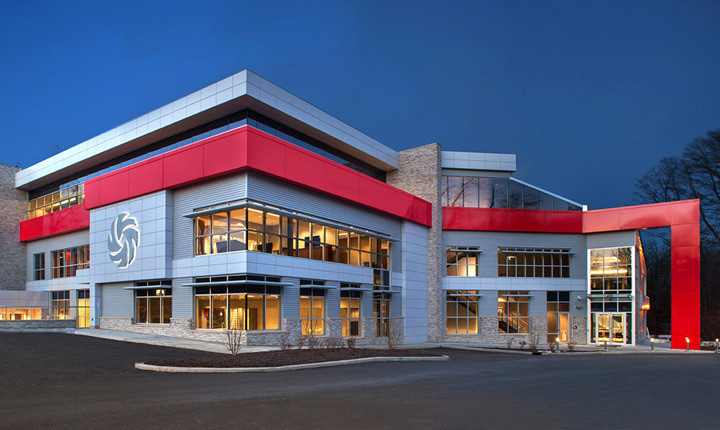 The project also added 7,000 SF of new office space utilizing high-bay warehouse space to create a mezzanine “deck-over.” Civil engineering design included a new shipping and receiving driveway with parking and expansion of an existing walking path. This phase of the project has already achieved LEED Silver certification. 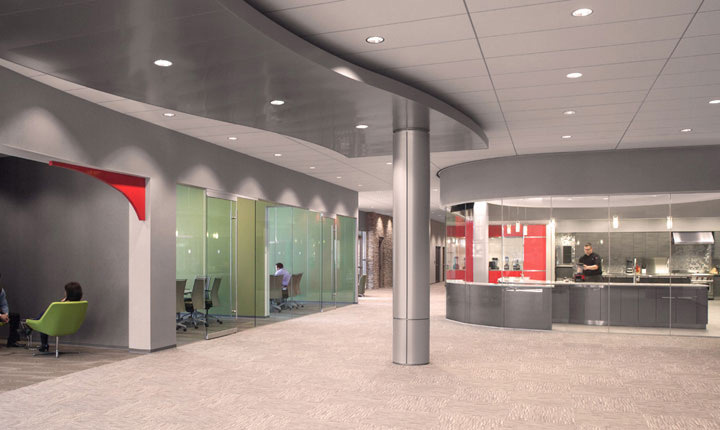 Phase 3 of this total facility make-over adds another 35,000 SF in a 3-story design. 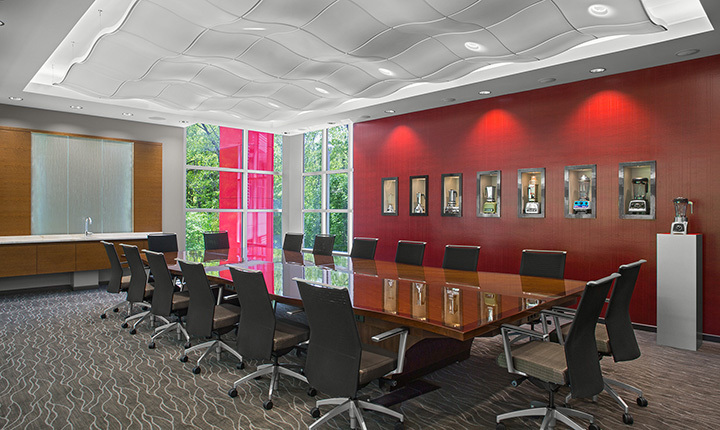 This new expansion provides additional office and meeting space in a new, modern work environment. 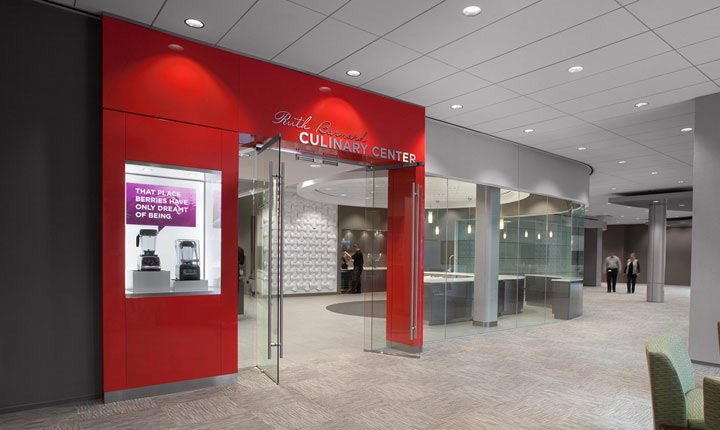 The first floor of the new facility will house a large, state of the art commercial kitchen where Vitamix can showcase its products and teach potential clients and employees how to use them. The kitchen will also house a recipe development area. 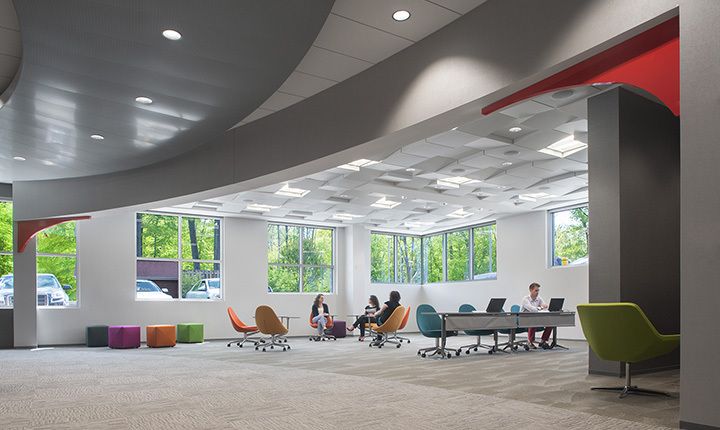 First floor space also includes a light-filled employee ‘collaboration’ space adjacent to a landscaped courtyard. Second and third floors contain office space, an employee fitness center and a rooftop terrace. Phase 4, which was completed in December 2012, involved the renovation and expansion of the Vitamix Engineering Department. New product testing rooms and conference rooms were added and engineering office space was renovated and expanded.